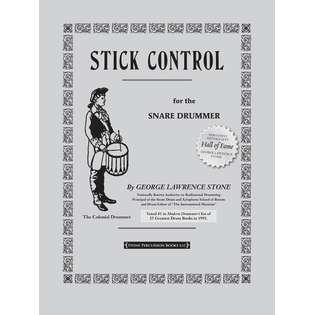 Stick Control for the Snare Drummer by George Lawrence Stone is the original classic, often called the bible of drumming. In 1993, Modern Drummer magazine named the book one of the top 25 drum method books of all-time. In the words of the author, it is the ideal book for improving “control, speed, flexibility, touch, rhythm, lightness, delicacy, power, endurance, preciseness of execution and muscular coordination,” with extra attention given to the development of the weak hand. 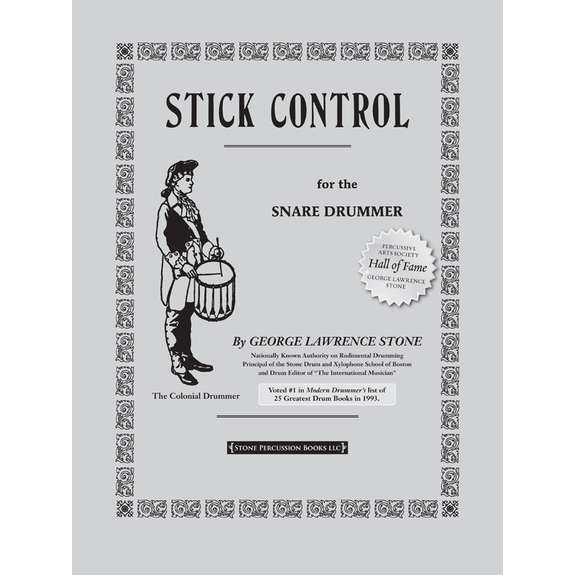 Stick Control is an indispensable book for drummers of all types includes hundreds of basic to advanced-level rhythms, moving through categories of single-beat combinations, triplets, short roll combinations, flam beats, flam triplets and dotted notes, and short roll progressions. We used this book as a give away in Marching Percussion Marketplace. Great EASY book. It is a tool, like a good pad or sticks. Steve Weiss gives a great price and great service.